One of the most extraordinary tastings recently has been of 1949 wine from Rivesaltes Vin Doux Naturels from 2000 to 1933. These naturally sweet fortified wines from 16% to 17.5% abv, were unearthed by Montpellier based oenologue Philippe Gayral. They are still in cask, to be bottled under his brand L'Archiviste. 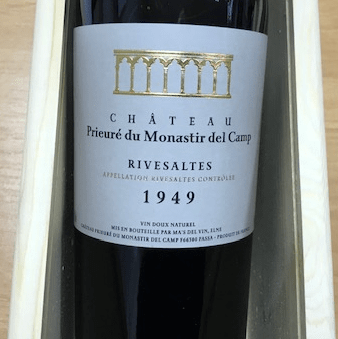 In 1950, 60 million litres of Rivesaltes VDN were drunk in France; today just 1 million. Soon they will cease to exist. One or two bottles are a must for every cellar.